The Rev. Susan Q. Claytor has been called to be our new rector. She will begin her ministry on March 3, 2019. As always, change brings the opportunities for exciting new ideas and growth. Come and meet her and her husband Parr, and share with them your dreams and hopes. Susan is a graduate of Virginia Theological Seminary and has a long history with West Virginia. Fr. 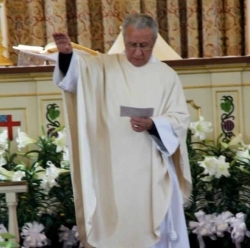 Adeeb serves as an Associate Priest at St Stephen’s and his ministry has taken him all across southern West Virginia over the past 40 years; and though officially retired, he continues a very active ministry at St Stephen’s.